T.I.C.A. 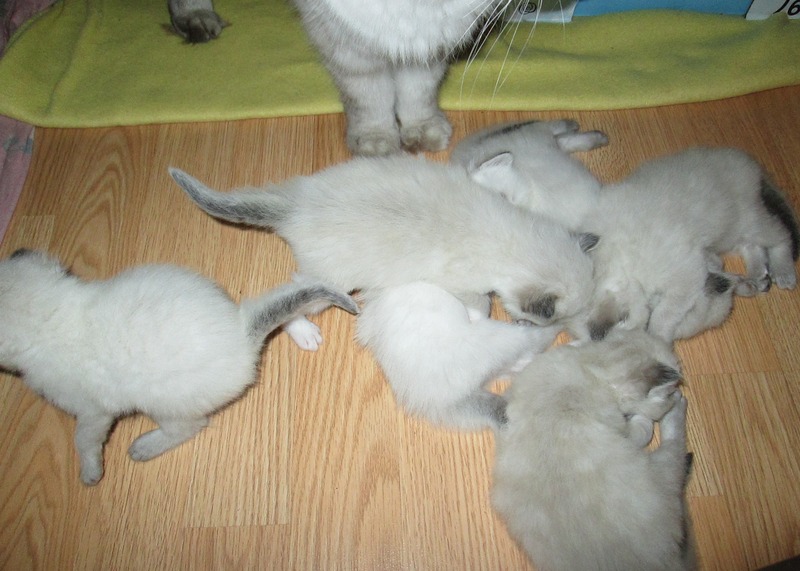 registered purebred Ragdoll Kittens born August 21st, 2015. 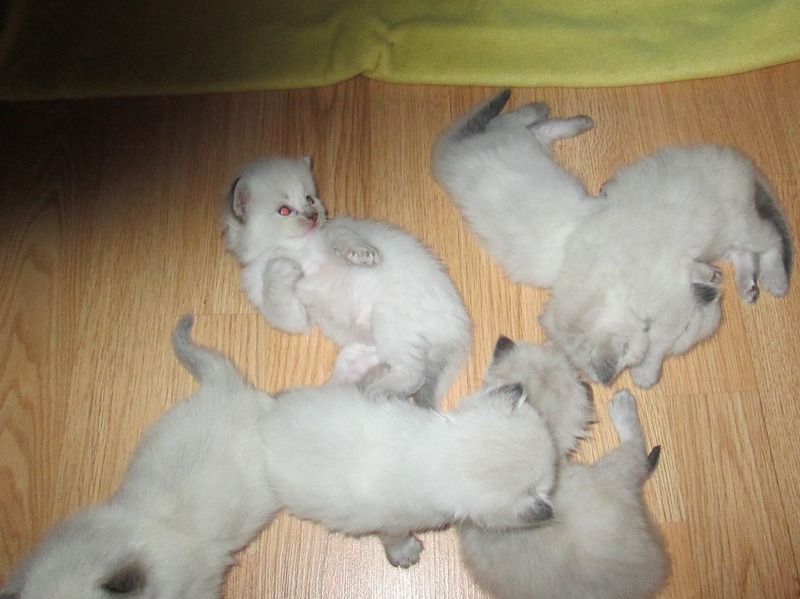 6 healthy males in this litter that can be Seal Point or Chocolate Point, with or without Lynx Stripes and can be Mitted or Bi-Color. I can't wait to see them develop their colors while they are here with me. Currently (9-9-15) 2nd pick of the litter is available as we are holding back first pick for Showing/Breeding home (all kittens will at least carry for Chocolate and some will also carry 1 Dilute Gene). 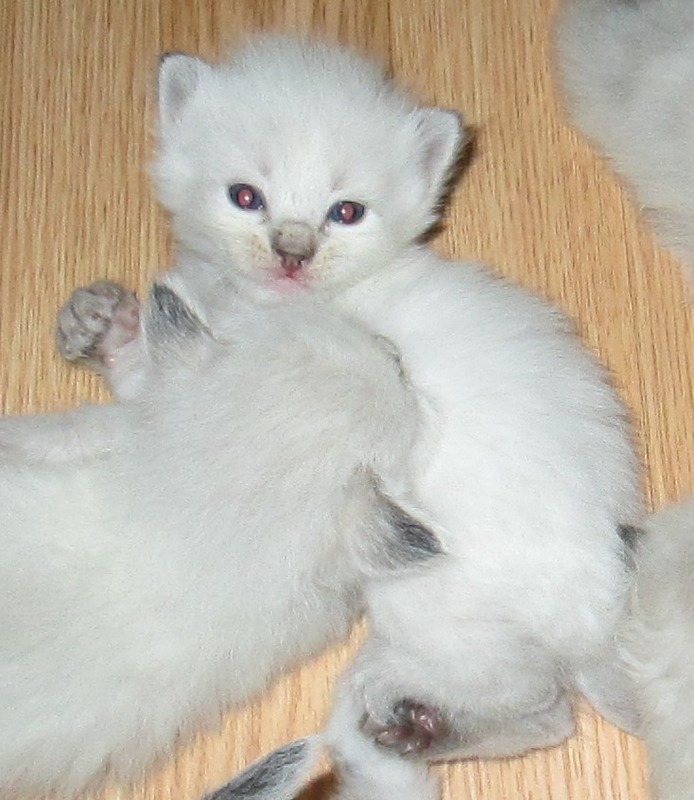 We ask for a $50 deposit to hold your place in our pick order and we begin making final decisions about which kitten with families around 6 weeks of age. Kittens are ready for their new homes between 8-12 weeks of age and either gender without breeding rights is $600 total (balance of purchase price due upon pick up). We do not ship kittens so you will need to travel to our home in zipcode 13037 to pick up your kitten.